This past Monday, people from around the world aimed their cameras upwards in hopes of catching a glimpse of the “blood moon” lunar eclipse. But as this 19th century manuscript shows, it’s a phenomenon that’s been chronicled long before the advent of camera phones and telescopic lenses. 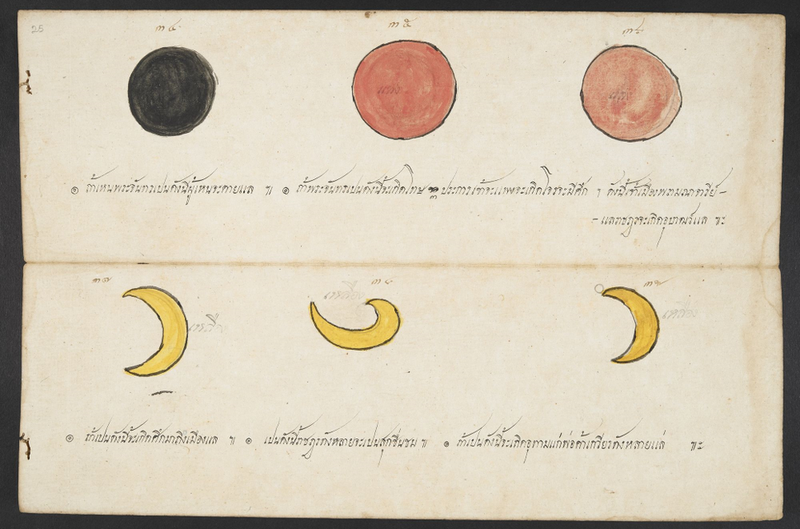 Rama IV was a passionate astronomer and astrologer, who actually died after catching malaria during an excursion to southern Thailand to watch a total solar eclipse that he had accurately predicted. In 2003, a newly discovered asteroid, 151834 Mongkut, was named in honour of King Rama IV and his contributions to astronomy. Interesting how the blood moon is almost universally interpreted as an omen of bad things to come. You can check out the entire manuscript here.